Mosaic is a surface art form, or a decoration across a surface such as a sidewalk or a wall. The final mosaic is composed of hundreds or even thousands of parts of various sizes. 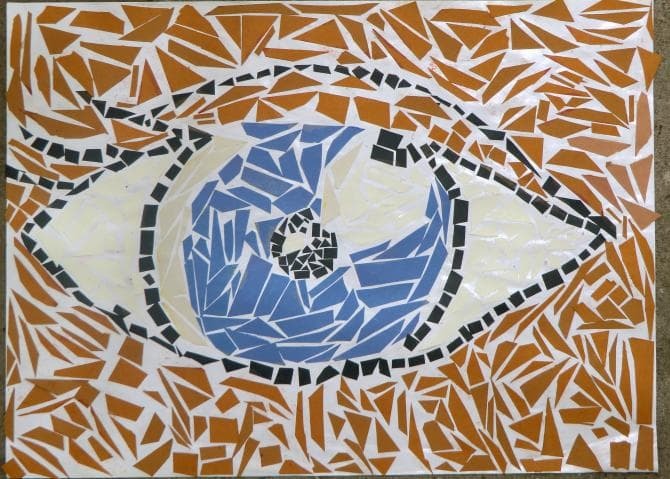 The whole mosaic is a total composition that may be recognized as a specific shape or form.